Photograph shows our 308 radial ring burner rated @ 75,000 BTUH. 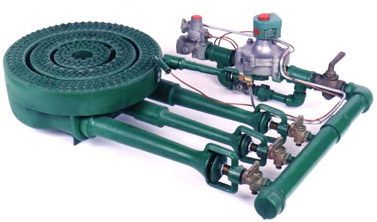 Burner is shown with pilot burner, cast iron stand, shut-off and safety valves (100% shut-off). Base list price is $638.